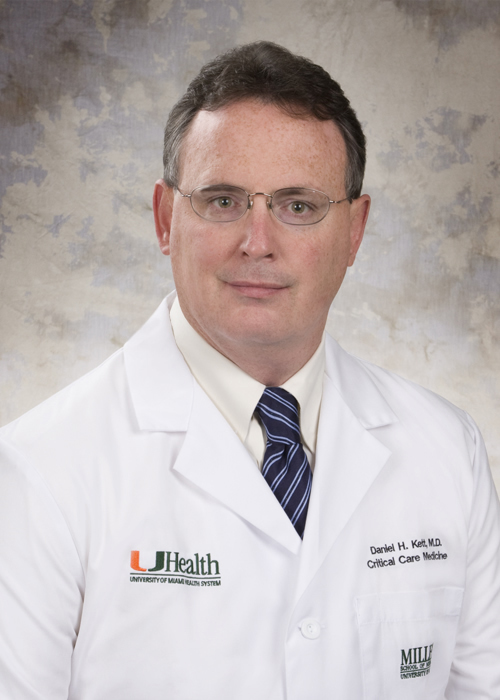 Miami, FL Daniel H. Kett, MD, is the Associate Chief Medical Officer for Critical Care at University of Miami Hospital and a Professor of Clinical Medicine at the Miller School of Medicine at the University of Miami in Miami, Florida. He earned his undergraduate degree at the University of Florida and his medical degree at the University of Miami Miller School of Medicine. Dr. Kett completed his internship and residency in Internal Medicine followed by a fellowship in Critical Care Medicine at Jackson Memorial Hospital. He is the recipient of the Excellence in Teaching Award by the University of Miami Miller School of Medicine/Jackson Memorial Hospital Internal Medicine Residency Program. Dr. Kett has strong clinical and research interests in severe ICU related infections, including invasive candidiasis and healthcare associated pneumonia,and infection control practices in the ICU. Dr. Kett is an investigator for the Mycoses Study Group, a large multidisciplinary group of researchers with a primary focus on studying serious infections, and is active in several projects related to fungal infections in critically ill patients. Results of his research have been published in the New England Journal of Medicine, JAMA, Annals of Internal Medicine, Lancet Infectious Diseases, Critical Care Medicine, Chest, and the Journal of Intensive Care Medicine. Additionally, Dr. Kett has presented at numerous scientific meetings and has been an invited lecturer at national and international conferences. Dr. Rumbak is a Professor of Medicine, Division of Pulmonary, Critical Care & Occupational Medicine in the Department of Internal Medicine, at the University of South Florida College of Medicine, Tampa, Florida. He is the Director of Bronchoscopy & Chief in the Clinical Research Unit, Pulmonary & Critical Care at James A. Haley Veterans' Hospital, Tampa, Florida. Dr. Rumbak is from Johannesburg, South Africa, where he went to medical school and did his residency and Fellowship in Pulmonary and Critical care medicine. 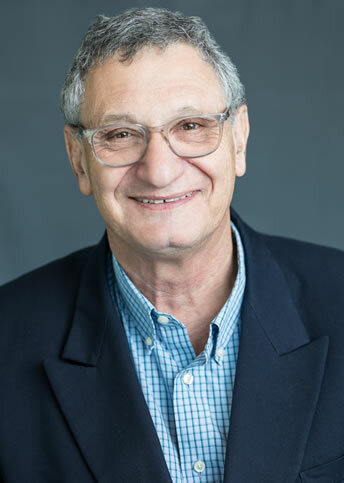 He came to the US IN 1987, spent five years at the University of Tennessee in Memphis, and then came to the University of South Florida in Tampa. Dr Rumbak's main interest is interventional pulmonary medicine, including pulmonary arterial hypertension. He is the Governor for Florida for the American College of Chest Physicians. He is a full professor and is on staff at four hospitals including the James A Haley Hospital, Tampa General Hospital and Florida Hospital, Tampa. The Surviving Sepsis Campaign was recently updated. Realize the important points that impact patient care. Currently different organizations vary in their recommendations on when to use the available anti-fungal therapies. Upon completion of this lecture, clinicians should be able understand and implement cost effective infection control measures in their practice. Currently different organizations vary in their recommendations on treatment of CVAs and related complications. Critically review the management of acute embolic strokes. Infection control practices in the ICU: What is the evidence? Identify the appropriate transfusion trigger in the critically ill and the risks associated with transfusion. Also discussion transfusion practices for massive transfusions. San Diego, California - Sunshine and fun are business as usual in San Diego. Walk on Coronado Island's sandy beach, take in the elegant streetscapes of the historic district, have a wild time at the famous San Diego Zoo or a whale of a good time at Sea World. Cabo San Lucas - Championship golf courses, world-class deep sea fishing and incredible diving opportunities have transformed Cabo San Lucas, a once sleepy fishing town located on the southern tip of the Baja California Peninsula, into one of the most popular resort destinations in Mexico. Rolling sand dunes and hidden coves dot a countryside ringed by some of the most famous and often-photographed rock formations in the world. 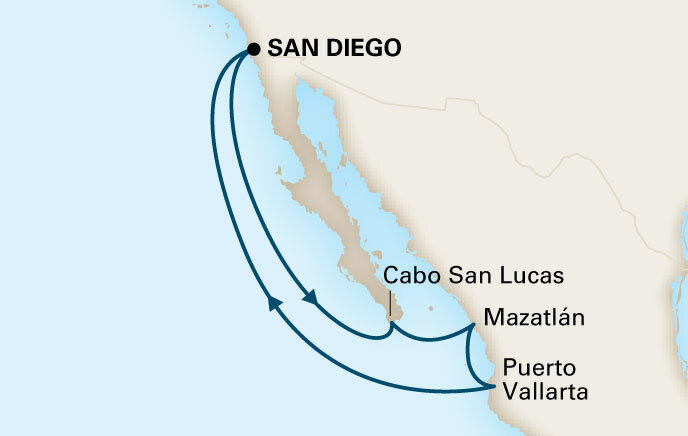 Mazatlan, Mexico - If you're ready to experience some of the finest sailing and sport fishing available, then you're ready for Mazatlan. This is an exquisite seaside resort by anyone's standards. Of course, you don't have to partake in world-class water sports to enjoy Mazatlan. You can relax on one of its soft-sand beaches caressed by trade winds that are even softer. Or shop for silver jewelry and Mexican crafts in the shops of "The Golden Zone", where you can also celebrate your purchases at one of the area's lively cantinas. Puerto Vallarta, Mexico - Puerto Vallarta has all the amenities of a classic beach resort &dash; surf, sand and sun&dash; but it also offers so much more. Perfect for honeymooners, families and seniors alike, Puerto Vallarta offers sport fishing, golfing, horseback riding, hiking and whale watching. Boasting mountains, jungles, beaches, rivers, and waterfalls, this port is completely different from any other destination in Mexico. Puerto Vallarta is a modern destination that remains loyal to its traditional Mexican roots. And that's just scratching the surface.